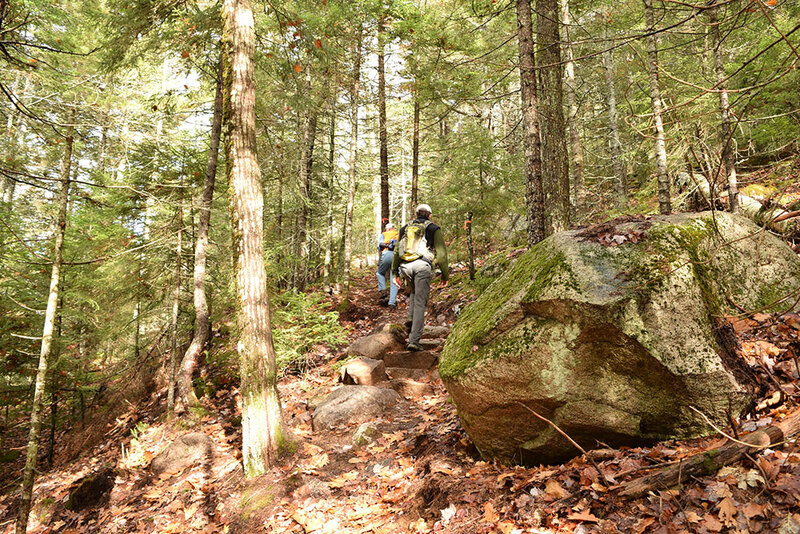 The Schoodic Connector Trail links 6.5 miles of trail from Route 1 in Sullivan to the summit of Schoodic Mountain. Frenchman Bay Conservancy has connected over 1,100 acres of conserved land from Route 1 north to the Down East Sunrise Trail. 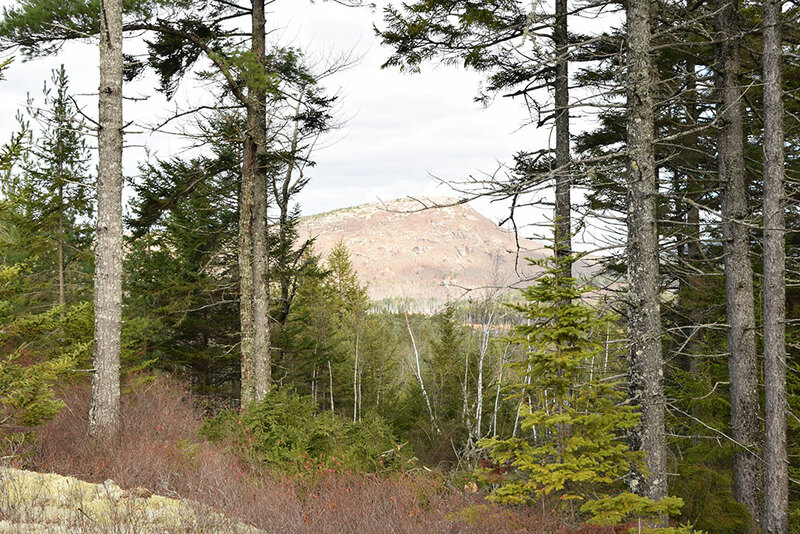 The conserved land includes the Conservancy’s Baker Hill, Long Ledges, and Schoodic Bog Preserves off of Punkinville Road and Schoodic Bog Road in Sullivan. From the Schoodic Bog Trail’s junction with the Down East Sunrise Trail, a trail on privately owned land leads to the top of Schoodic Mountain. 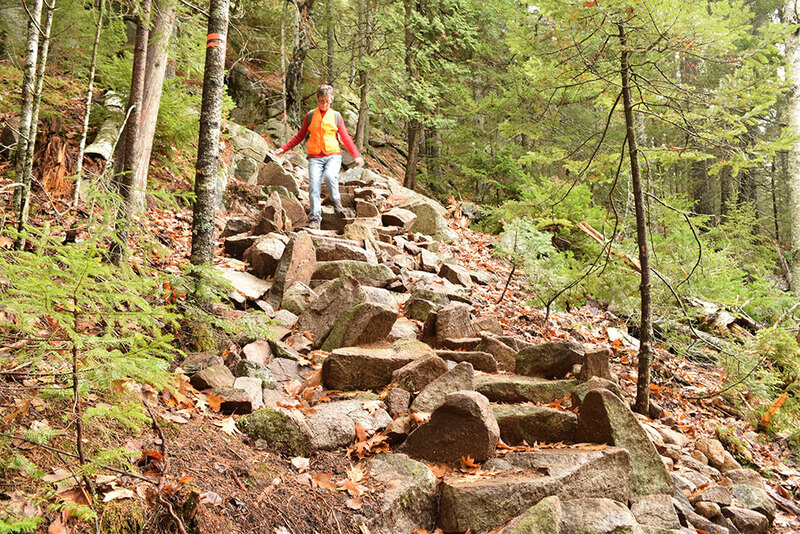 The Schoodic Mountain Trail leads down the other side of the mountain to the State of Maine’s Donnell Pond Public Reserved Land. Schoodic Mountain’s summit is bare and flat with 360 degree views, including dramatic views over Frenchman Bay and Mount Desert Island. 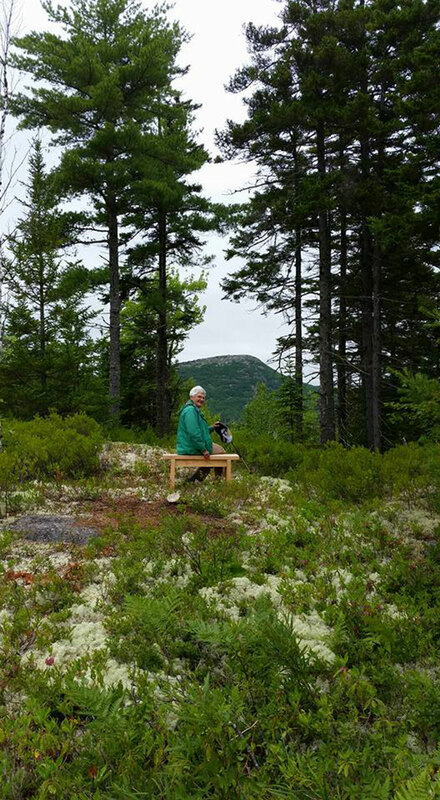 The Donnell Pond Public Reserved Land includes more than 14,000 acres of remote forested land with crystal clear lakes, secluded ponds, and mountains with panoramic views. This public land includes miles of trails traversing Black, Caribou, and Tunk Mountains. Other Information: The trail up Schoodic Mountain from the Down East Sunrise Trail is on private property, please use respectfully. Directions: From the Sullivan side of the Hancock-Sullivan Bridge: drive 3.4 miles on Route 1N to Punkinville Road on the left (just before Sumner High School). Turn left and drive 0.1 miles to a parking lot on the left designated for hikers that are hiking the entire Schoodic Connector Trail. If you reach the Baker Hill parking lot, you have gone too far. 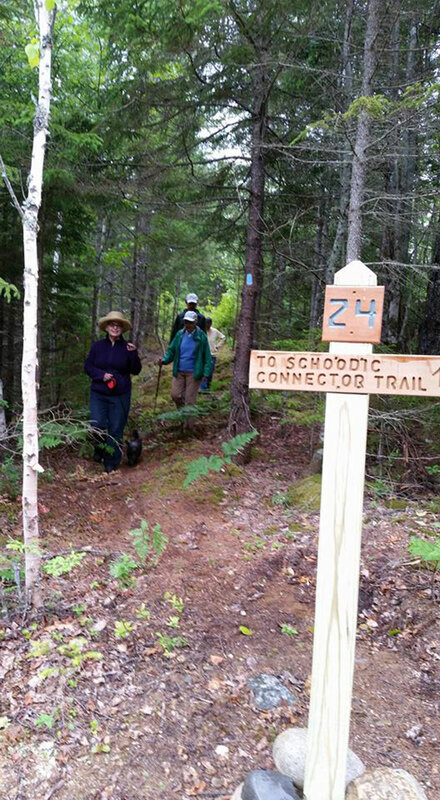 Alternate parking is available at the Schoodic Bog Preserve: continue 2 miles past the Schoodic Connector Trail parking lot and bear left onto Punkin Ledge Road, then drive 0.7 miles to the Schoodic Bog Rd on your left. Parking may be found a short distance down Schoodic Bog Road, on the right. 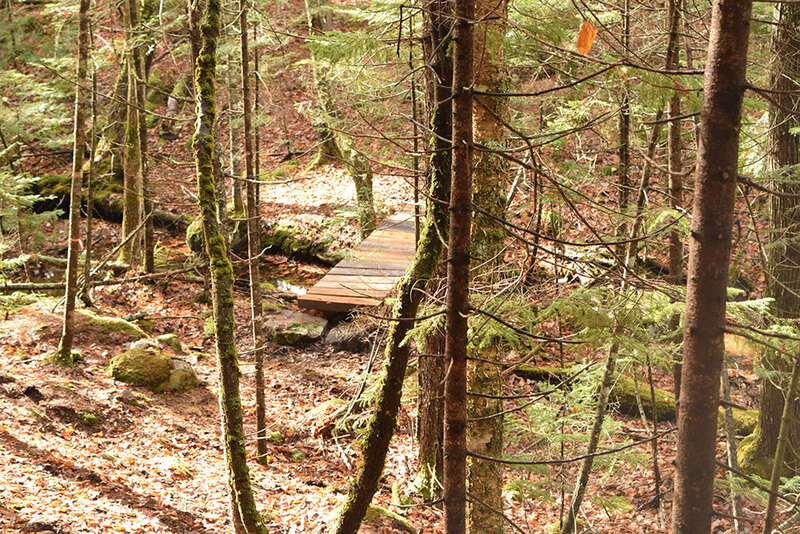 This trail passes through a property that was acquired in part with funds from the Land for Maine’s Future program.